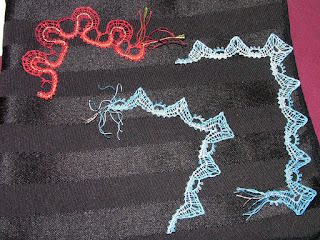 Delores has been working through Lia Baumeister's Schneeburger lace video from the LPS library. 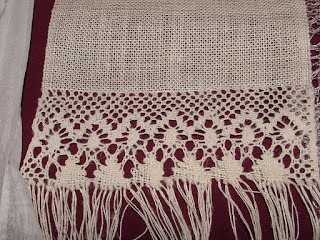 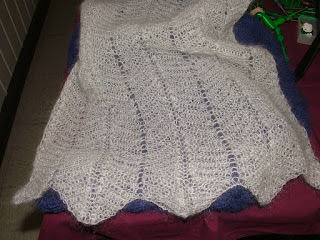 Elaine used the weft thread from a piece of linen as weaver, and the warp threads as passives. 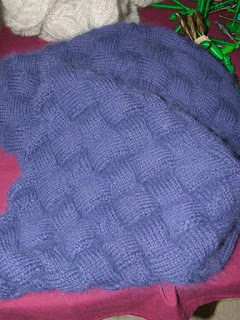 Lorri's knitted infinity (Möbius) scarf. 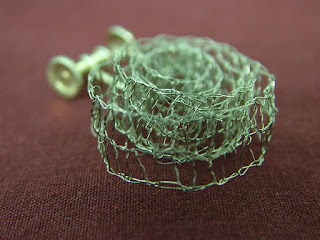 Annelore took a class from a German teacher using stainless-steel wire for earrings. 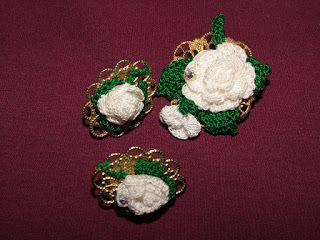 Another view of Annelore's earring. 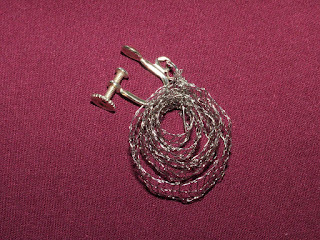 She says the stainless-steel doesn't break as easily as the copper wire, and would love to find a US source for it. 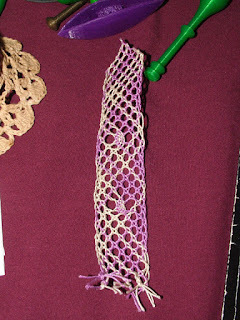 Elaine found this clever idea for recycling broken bobbins at a thrift store. 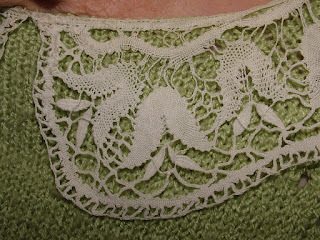 Another view of Margaret's collar. 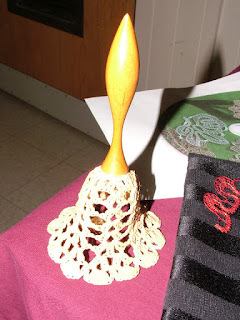 ...she was ensnared by bobbin lace! 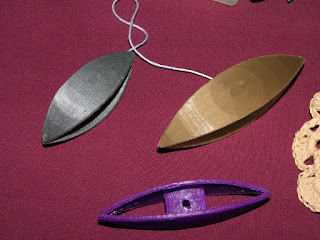 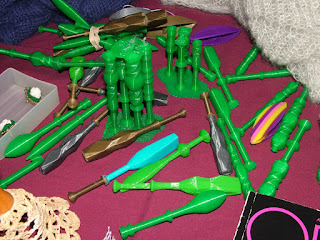 Here are her 3-d printed bobbins experiments. 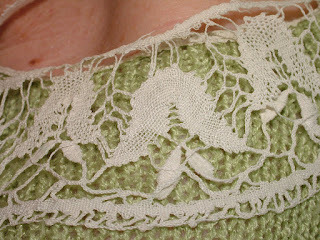 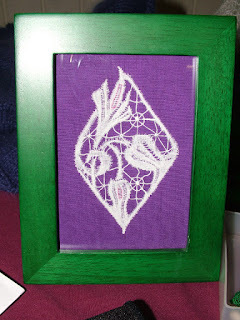 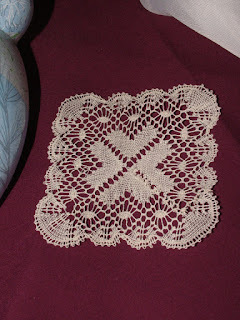 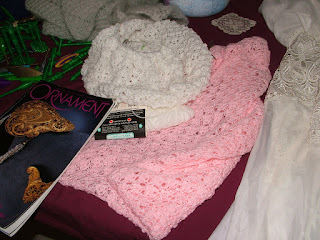 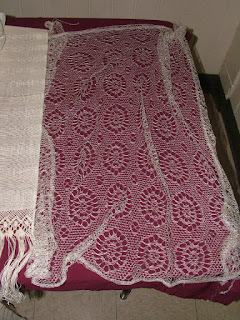 One of Elaine's finds (machine lace). 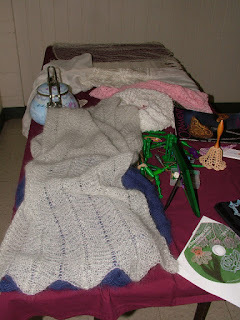 The Show & Share table.